How does obesity cause kidney faliure? According to the report,obesity has been found in more than 50 percent of cases of kidney diseases.This disease causes heavy losses to the kidneys, due to which the patient has to lose his or her life several times or one kidney has to work all the time in life.When our body weight increases it produces diseases like high blood pressure,diabetes,heart problems that affect our kidneys very badly.Do you know that about eight million people die every year due to kidney diseases.Unhealthy lifestyle and diet increase body weight and affect your kidney very badly,due to which the kidney does not filter blood properly.When the blood is not properly filtered,then the waste products and toxic elements present in the blood harm the kidneys and other organs of the body.Kidneys are two organisms of bean shaped at both ends of the spinal cord.A large part of the body's blood passes through the kidneys.Millions of nephron tubes present in the kidneys filter for purifying blood.In the early stages of kidney disease, it is not known and it is so dangerous. The patients of chronic kidney disease are increasing rapidly due to the rising weight.The biggest cause of chronic kidney disease is stomach obesity.So it is very important that you control your growing weight, try a healthy diet and try to eat only at home. In many cases it has been found that the problem of kidney and liver was found in those people who mostly eat food outside.If you are a kidney patient then it is even more important that you take care of your diet.Chronic Kidney Disease can not be completely cured by any treatment.Treatment of the chronic kidney disease in the last stage is possible only with dialysis or kidney transplantation.So take care that this body is the most precious. Drink more water - The kidneys carry out the toxins of the body through the urine,so it is necessary to drink enough water to work well.By drinking less water these toxic substances start to accumulate in urine tube and cause serious diseases. Apart from this,drinking less water increases the chances of kidney stones. Urge to stop urination - The biggest reason for kidney disease is to stop urination. By delaying urination, you have the possibility of having a stone in the kidney. Apart from this, kidney failure also occurs in many cases due to this. 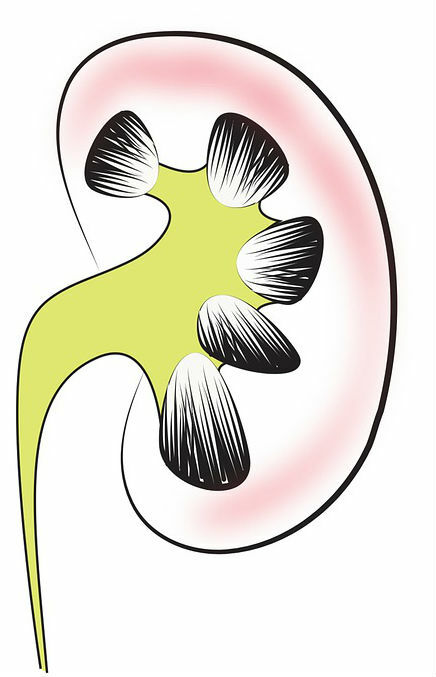 Kidney infection may also be due to delayed urination. Do not use more of salt - By consuming excessive salt, the body may have many problems. Due to excess salt, the problem of blood pressure is common but it can also cause kidney problems. Excess consumption of soda or soft drinks - Due to excessive drinking of soft drinks or soda, there is a risk of kidney damage. This can lead to many serious diseases like obesity, diabetes, kidney stones etc.